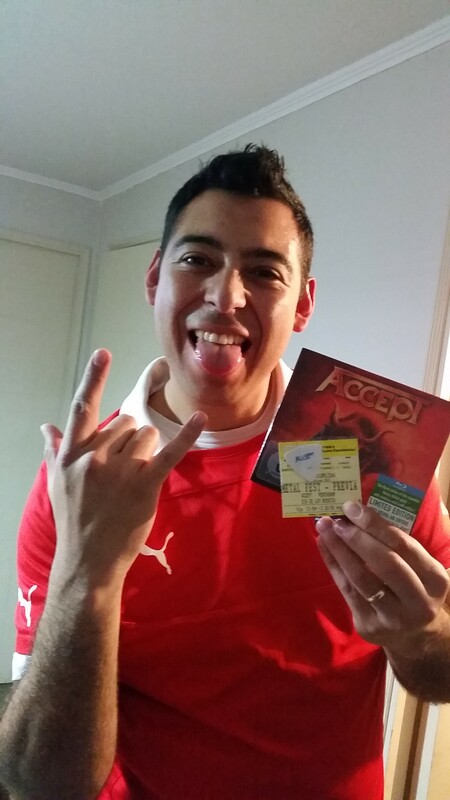 Here I am enjoying my new album Accept “Blind Rage” whit special Bluray Live Concert “Live in Chile 2013”. On the other hand, the ticket for the concert with Guitar Pics the Great Wolf Hoffmann !!! catch in the air!!! !